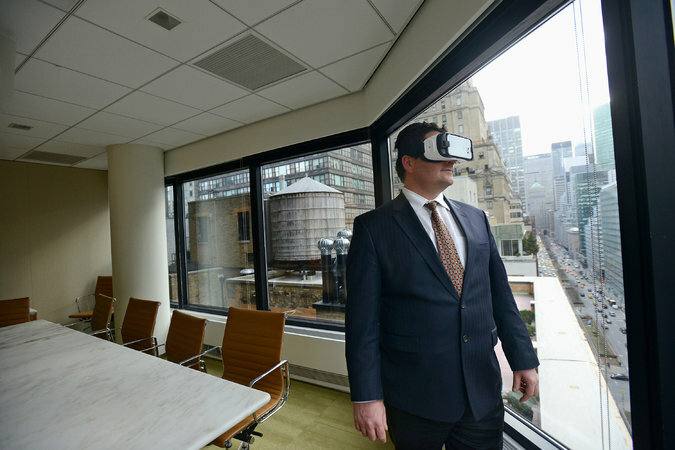 I’d come to Halstead’s Manhattan headquarters to test the virtual reality technology that the company is developing. I’d already perused a 400-square-foot West Village resale using a Samsung Gear headset. But the Halstead team was most excited about a four-story building in Astoria, Queens, that did not yet exist. Halstead had hired a company called Virtual Xperience to create a virtual rendering based on the architectural plans. The idea was to have potential buyers wear an Oculus Rift headset and “walk” around the building. The more realistic the experience, the more likely a client might be willing to pay the asking price of nearly $1.98 million for the building before construction crews even broke ground — at least that was the hope. So was I teleporting? I kept bumping into virtual walls because the headset was making me extremely nauseated. The Starship Enterprise this was not. Halstead says it will introduce three-dimensional displays and virtual-reality headsets to its offices this year, and the brokerage isn’t alone. 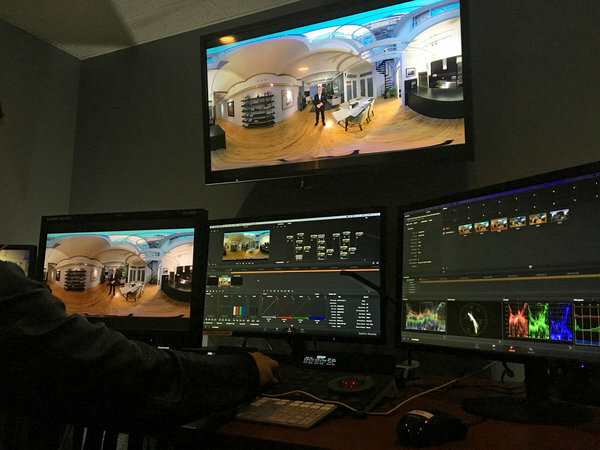 Greenland Forest City Partners and Douglas Elliman Real Estate are also hoping to add virtual-reality technology in the coming months, as are individual brokers looking for a competitive edge. Digital design firms charge tens of thousands of dollars to create virtual customizable spaces for high-end buyers. In some cases, the excitement of providing virtual-reality technology to clients has created an outsize sense of the technology’s importance. One company was keeping its VR prototype secret, lest a competitor try to steal it. But whether the technology is ready for widespread use — and whether consumers really want it — remains an open question. The Boerum, a 20-story condominium at 265 State Street in Brooklyn, won’t be finished until late this year. But at the showroom of the developer and designer, Flank, brokers pull up renderings of specific apartments on a large-screen TV, using an iPad to move around. They can even take potential buyers over to the window to see the exact view, captured via drone. Buyers will know, for example, if their view might be blocked by another building. Some virtual renderings are even more complex. Gonzalo Navarro, a principal of the digital design firm ArX Solutions, creates 3D walk-throughs showcasing specific furniture, artwork and fixtures for multimillion-dollar apartments. “Imagine that you’re sending a check for $30 million and you have nothing to see,” Mr. Navarro said. “Our work is the closest you can get without having to build it. You feel the size. You get the textures.” His drones don’t just take photos but also capture video. So if there’s a lot of street noise, “I can’t lie to you,” he said. The virtual apartments created by Mr. Navarro cost nearly $100,000 to make and take months to build. They can be viewed with an Oculus headset, Mr. Navarro said, but most clients don’t use this option. 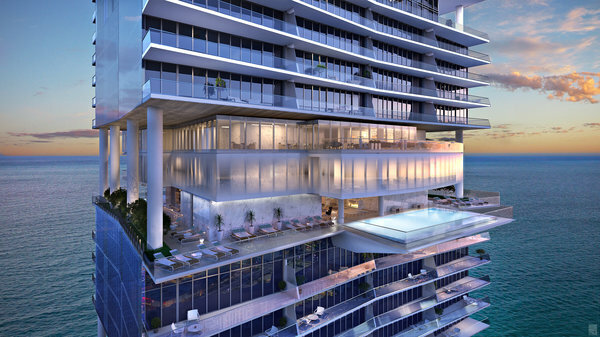 When presenting images of the 54-story Turnberry Ocean Club Residences in Sunny Isles Beach, Fla., to the developer, Turnberry Associates, Mr. Navarro used a giant video wall to let the company’s executives virtually walk around the building without goggles. “We didn’t want the guy coming to write a $70 million check to get dizzy on us,” he said. 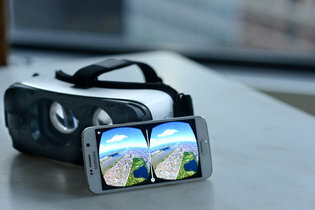 Jeffrey Hummel, the chief technology officer of Douglas Elliman, said that while virtual reality has a certain “wow” factor, as with any new technology, there are lessons to be learned. In his previous career as a financial services executive, Mr. Hummel gave his programming team pairs of Google Glass to test. “We had an outbreak of pink eye among all those people,” he said. A quick fix for this, of course, is the Google cardboard headset, which typically costs less than $10. Randy Baruh, an associate broker for Corcoran, ordered a handful of these headsets and is planning to have them branded with his contact information and the Corcoran logo. He said he would distribute them at open houses along with his show sheets. (A quick response code on the sheet will start the VR app.) He has contracted with ProMedia, a New York-based production company, to create a few VR-capable listings. “It’s a way to set homes apart in this hypercompetitive environment,” he said. Mr. Leone of Halstead says virtual reality could eventually eliminate the need for open houses. “If you can see the homes remotely and be more educated before you actually make a trip, you’ll make the process easier,” he said. Greenland Forest City Partners says its fully immersive VR is ready to go. Later this month, buyers who come to the sales office for 550 Vanderbilt, a new condo building in Prospect Heights, Brooklyn, will be able to don headsets and take a virtual tour of the eight-acre public park planned around the development. As for my test at Halstead headquarters, even after I took off the Oculus headset I was feeling a tad queasy. Meanwhile, Mr. Leone and his team discussed possible enhancements to the virtual experience. Later this year, haptic technology, or the science of touch, will let users see their own hands in the virtual world, allowing them to open closet doors and feel hot water from the faucet. Mr. Darcy said smells and tastes were also being developed. A version of this article appears in print on February 14, 2016, on page RE1 of the New York edition with the headline: A New Dimension in Home Buying.